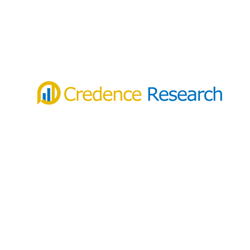 The latest market report published by Credence Research, Inc. “Global Carcinoembryonic Antigen (CEA) Market – Growth, Share, Opportunities, Competitive Analysis, and Forecast, 2016 – 2023,” the carcinoembryonic antigen (CEA) market was valued at USD 1,624.2 Mn in 2015, and is expected to reach USD 2,787.3 Mn by 2023, expanding at a CAGR of 6.4% from 2016 to 2023. According to Quest Diagnostics, CEA is an oncofetal glycoprotein present in the gastrointestinal tract and body fluids of the embryo and fetus. This antigen is also present in certain adult gastrointestinal cells, including the mucosal cells of the colorectum, and small amounts are present in blood. Market experts suggest that key growth drivers assisting the growth of CEA market comprises high prevalence of cancer, mounting global geriatric population base, high demand for minimally invasive diagnostic procedures in cancer and increasing application of CEA for diagnosis at several stages of cancer. In addition, a few factors that assist the overall market growth are growing healthcare expenditure which is boosting the need for efficient diagnostic procedure for cancer and influencing the usage of combination biomarkers. The global carcinoembryonic antigen (CEA) market is segmented on the basis of application type into ovarian cancer, colorectal cancer, pancreatic cancer, lung cancer, breast cancer, thyroid cancer and other cancers. In base year 2015, colorectal cancer dominated the overall market in terms of revenue. The key factors responsible for growth of CEA market are increase in number of population consuming alcohol, sedentary lifestyle, and high intake of saturated fats in all age groups. Moreover, rising preference for CEA test in cancer diagnosis and management is expected to assist its market growth in the near future. In base year 2015, North America was observed as the largest CEA market due to high public awareness related to early cancer diagnosis, rising preference for minimally invasive cancer diagnosis tests and sophisticated health care facilities for cancer management. Incessant technological developments followed by new discoveries of specific antigens and biomarkers are anticipated to boost the growth of CEA market testing. The key factors assisting the growth of CEA market comprises aging population, highly accessible technologically advanced healthcare facilities, successful governmental and non-governmental initiatives, and demand for precise diagnostic procedures. The carcinoembryonic antigen (CEA) market is observed as the most diversified and competitive market comprising large number of players. The market is dominated by several players, depending on their major competencies. The key players in this market are Quest Diagnostics, F. Hoffman LA Roche, Abbott Laboratories, GenWay Biotech Inc., Correlogic Systems, Inc., and Others. Kommentar hinterlassen on "Global Carcinoembryonic Antigen (CEA) Market is Expected to Reach USD 2,787.3 Mn by 2023"